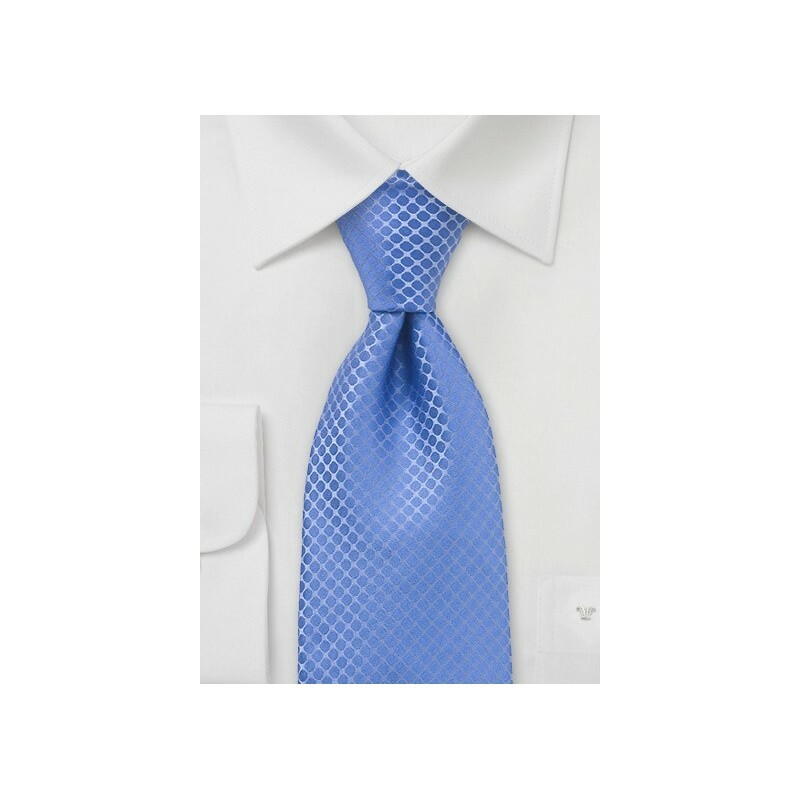 Add color and style to your business look with this cornflower blue patterned tie by Chevalier. 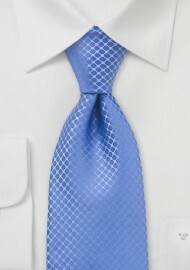 This light blue tie is perfect for spring and summer, and combines well with most classic suit color. If you like the design of this tie then we also carry this collection by Chevalier in ruby red, and burnt orange. This tie is made in long length of 62 inches. It is 4 inches longer than a regular sized tie and made with the big and tall man in mind. This tie combines best with medium-gray pin striped suit, white shirt, and either white or light blue pocket square. Handmade from pure silk.